It's not yet the first of May and my roses are beginning to bloom. 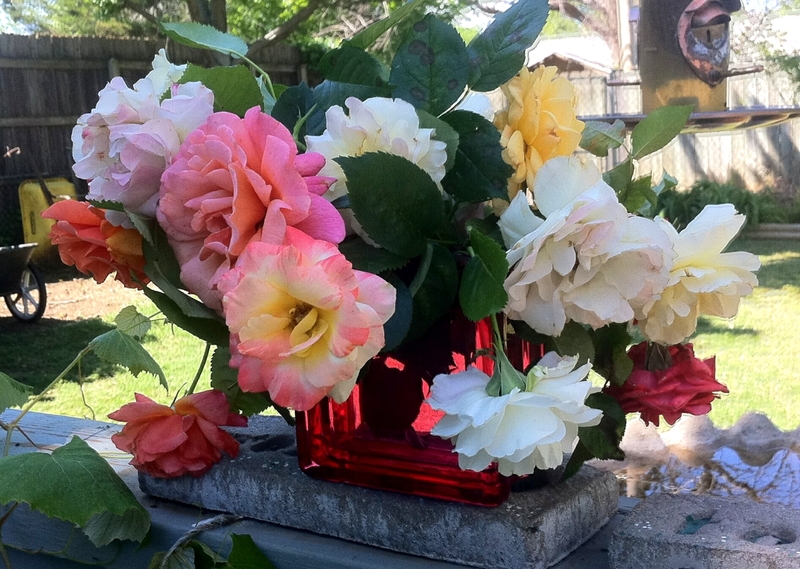 These are the first flowers from the new roses I potted last summer. They are both beautiful and fragrant. 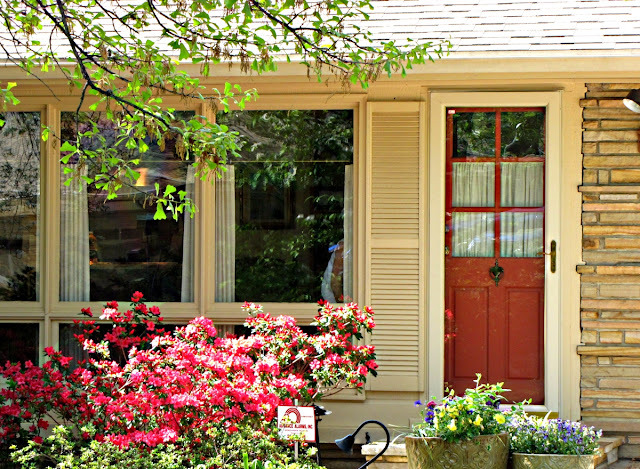 I hope the mild winter and early spring are not the run up to another scorching summer like we had last year. Right now we are enjoying lovely weather. 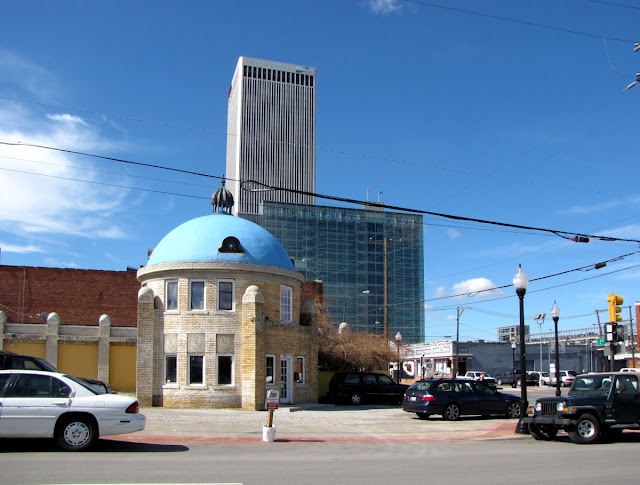 The Blue Dome was built in 1924 and served as a Gulf Oil Station. This was the first station in Oklahoma to have hot water, pressurized air and a car wash. It was also open 24 hours, seven days a week. The station attendant lived upstairs in the dome itself. 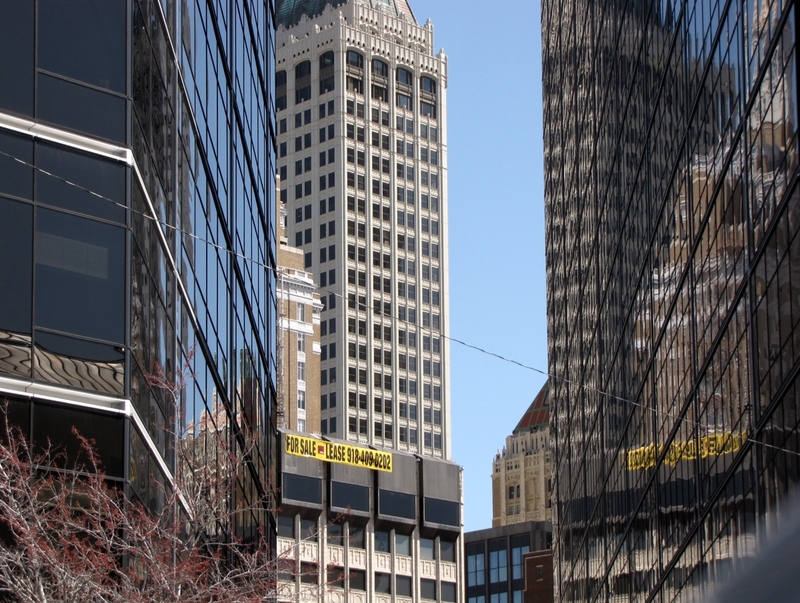 It is now something of a landmark and an icon for downtown Tulsa. The area around the dome is known as the Blue Dome District and is the site of many restaurants and clubs. 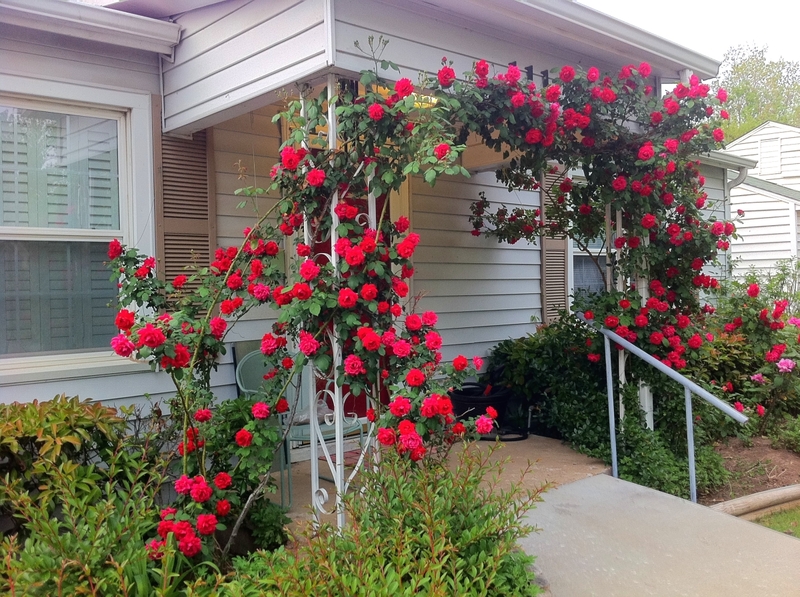 The roses arching over my front porch only bloom this time of year but when they do they are very nice. I planted them when I first moved here 18 years ago. The variety is Blaze. 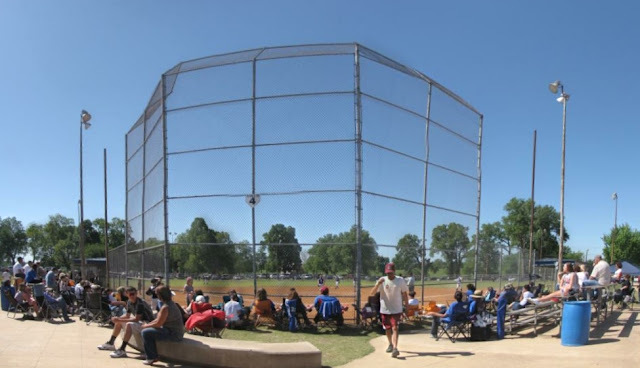 Saturday Sue and I drove over to Sand Springs just West of Tulsa to see our granddaughter Gabby play softball. Well, actually she is our son David's step daughter so I guess she is our step granddaughter but we are very proud of her. Anyway, She is a terrific kid and an exceptional softball player. 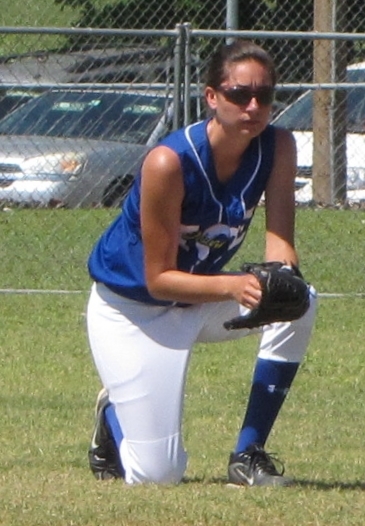 She is on a 14 and under team that pulls some of the best players from her area. Last year they played in the national finals and are on track to do it again this year. At this level they play some serious softball and it is fun to watch. 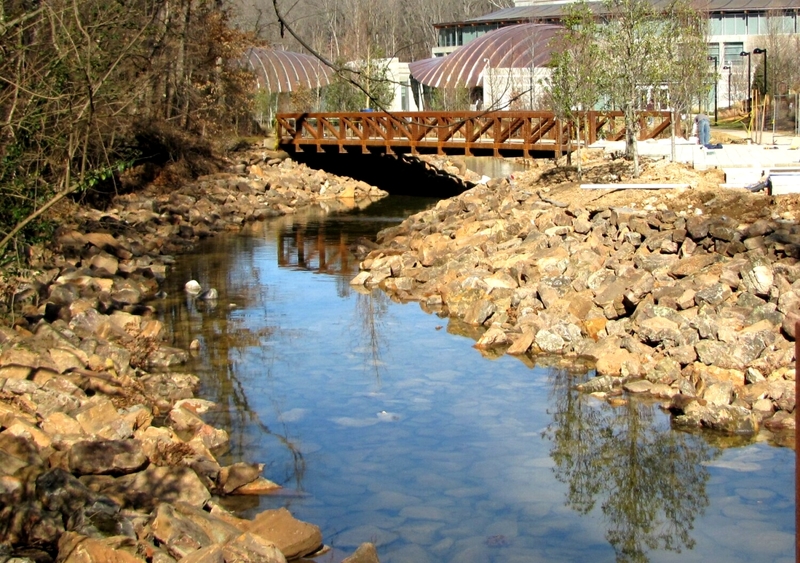 Crystal Bridges Museum of American Art viewed from the south. When my hedge of Knockout Roses bloom it is officially Spring at my house. Many newspapers ran the AP photo of the space shuttle taking off for the last time from Cape Canaveral on Tuesday, April 17, 2012, bound for Washington DC to be part of the Smithsonian Museum. The development of America's space shuttle program began in early 1970, the first sub-orbiter flight was in 1981, and the first full mission was initiated in 1983. All shuttle flights were launched from the Kennedy Space Center in Cape Canaveral, Florida. If flight conditions were favorable the preferred landing place was back at the Space Center. If conditions were not favorable the shuttle would land at Edwards Air Force Base in California. 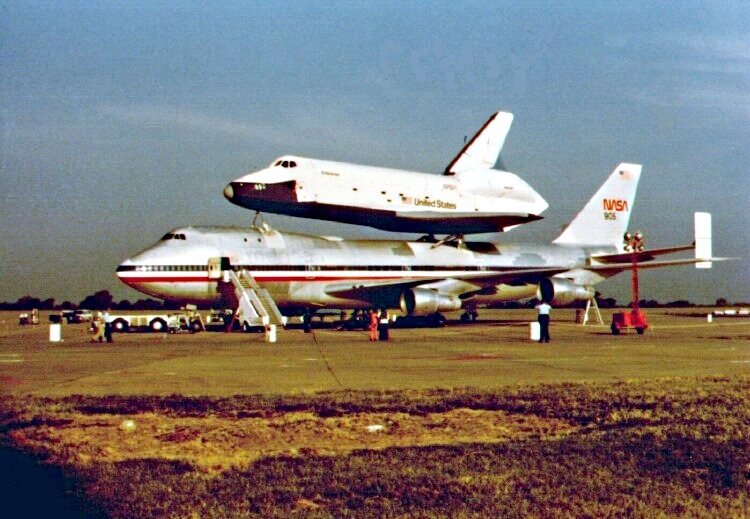 If that was the case the shuttle was mounted on the back of a modified Boeing 747 and carried back to Florida. I was a computer analyst for American Airlines from 1968 to 1998 and was located on the same property as the big Maintenance and Engineering Center in Tulsa. 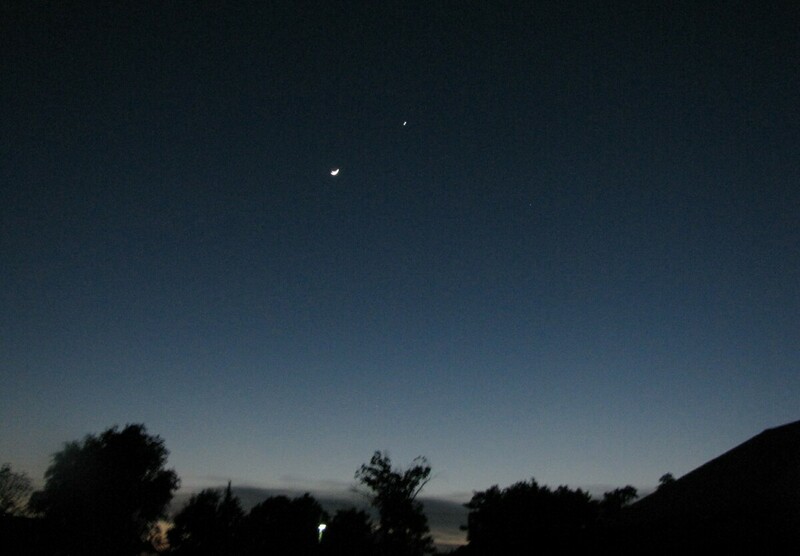 When I drove to work one morning in the summer of 1979 there was an amazing sight on the horizon. There was a Boeing 747 standing 63.5 feet high with a space shuttle of 58.5 feet high perched on its back. Together they were as high as a 12 story building. We knew that American Airlines sold one of its jumbos to NASA in 1974 but had never seen one carrying a shuttle. It just looked enormous. I couldn't imagine how anything that big and heavy could possibly fly. At that time American had contracted to do the maintenance of the aircraft and they had stopped for something on their way to Florida. The buzz was that it was going to take off at noon so a large group of us decided take our lunch over to the wire fence that separated the plant from the airport runway to see if this monstrosity would actually fly. Sure enough they started up the engines about 12:30 and got every thing ready. The turbines wound up with plenty of noise then it started to move, slowly at first then sped up quickly, rotated the nose up and lifted off the ground light as a feather. It didn't even use much runway as we in the peanut gallery cheered and clapped. The American Eagle logo had been removed from the tail and replaced with NASA, but the silver fuselage still carried American's red, white, and blue stripes from nose to tail. It would be replaced by a single black stripe in 1983. 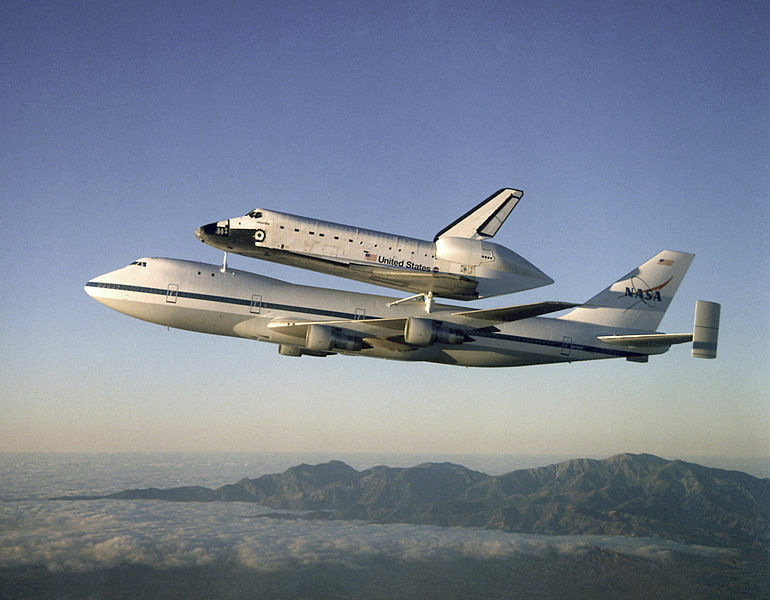 The first shuttle flight was a sub-orbital flight in 1981, and the first fully operational flight was in 1983. 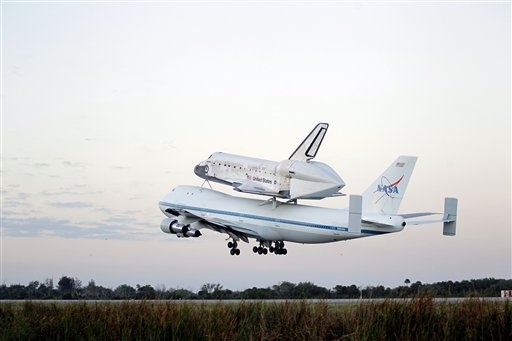 The last mission was in 2011 and the 3 remaining shuttles are going to museums for us to enjoy, one to the Smithsonian, one to Los Angeles, and one will remain at the space center at Cape Canaveral. 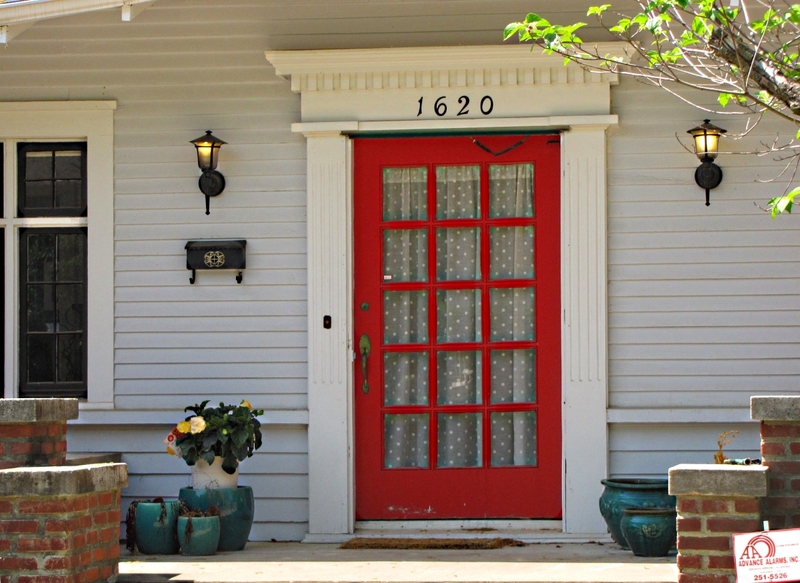 This rambled on to be a longer post than I intended, especially for a Wordless Wednesday. I hope you found it interesting. My roses are starting to bloom. 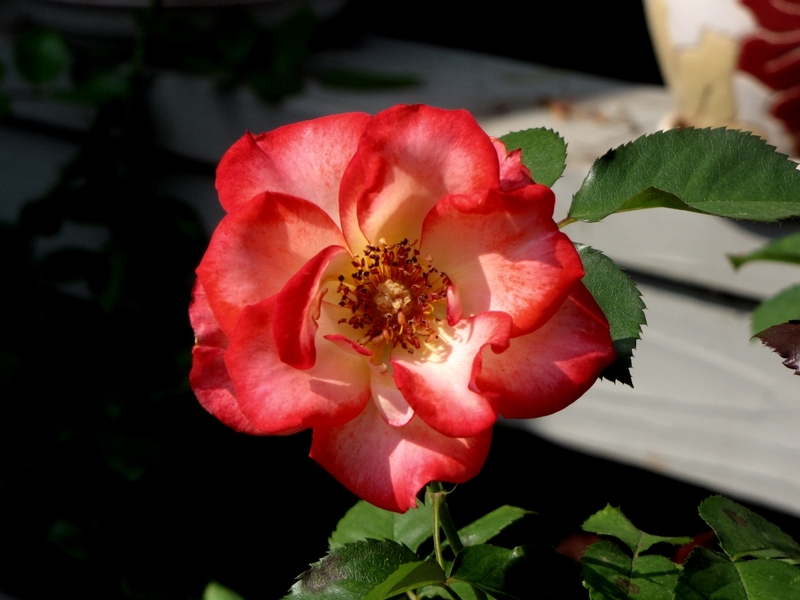 This lovely semi-double floribunda is a Betty Boop. 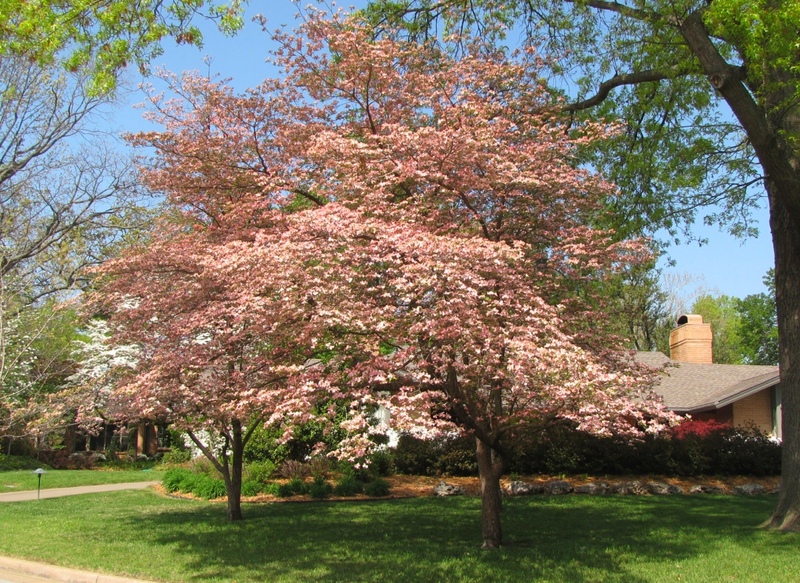 It is blooming early but spring came early and warm. I have 12 species of rose planted in 20 inch resin pots around the perimeter of my deck. This allows me to enjoy and tend to them out of my chair. This is the first time I have used the resin pots. 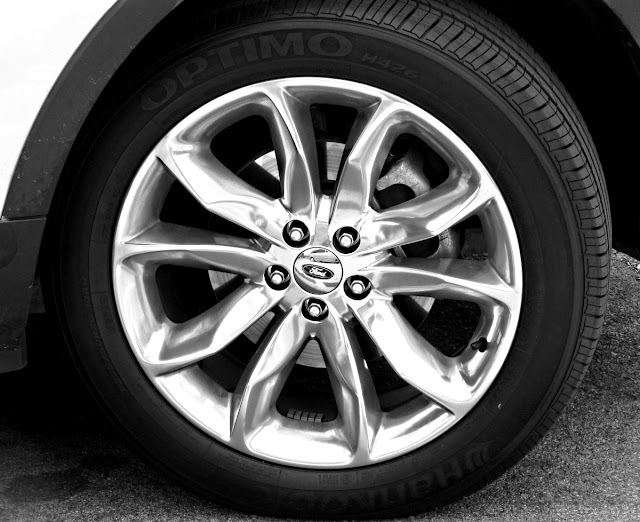 They are very attractive, light in weight, less likely to break, and much less expensive. I have each one on a four wheeled dolly so I can move them from place to place very easily. I think they will work out fine. Time will tell. 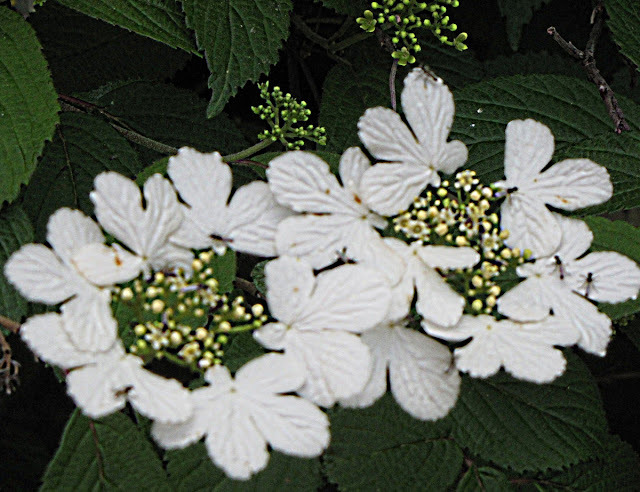 Properly named Viburnum Tomentosum, this is a hardy shrub with showy white flowers that typically bloom in double rows. The blooms give way to red berries later in the summer and are attractive to birds and butterflies. 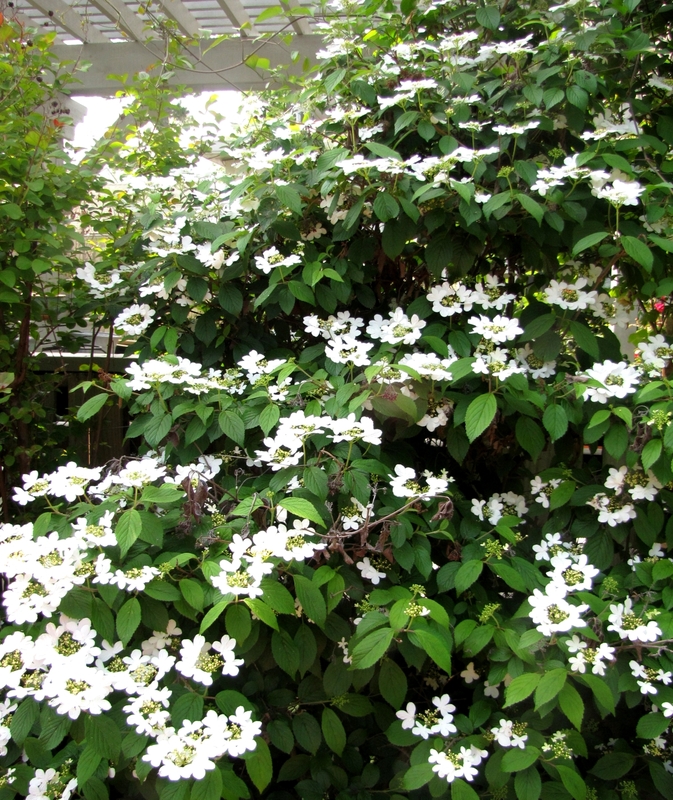 They are not fragrant but otherwise make a perfect shrub. This is about 4 years old in my garden and has grown to about 6 feet high. It is supposed to grow to 10' tall by 10' wide but I have it planted between 2 Crepe Myrtles. 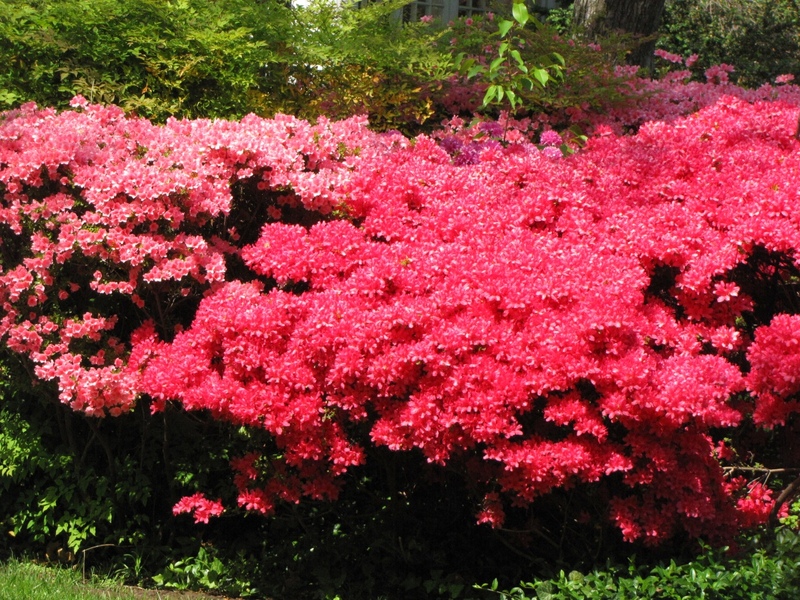 They can grow as tall as they like but will have negotiate with each other horizontally. these along with a lilac form a screen on the north side of our deck and pergola. This is a work in progress and is coming along very well. 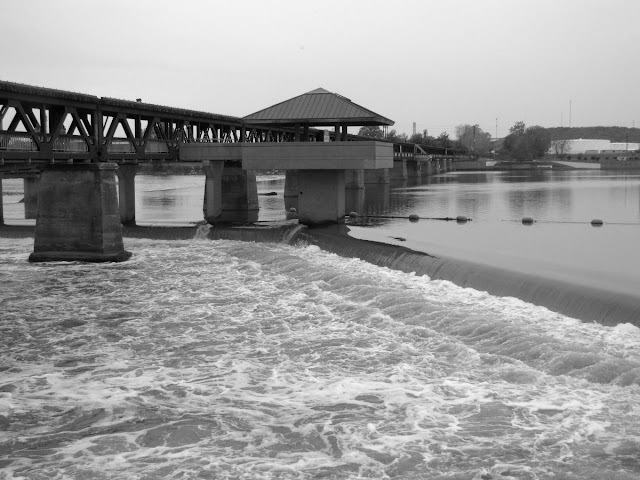 The Pedestrian Bridge over the Arkansas River is where the low water dam keeps the river full from bank to bank. With all the recent rain the spillover makes a regular waterfall. 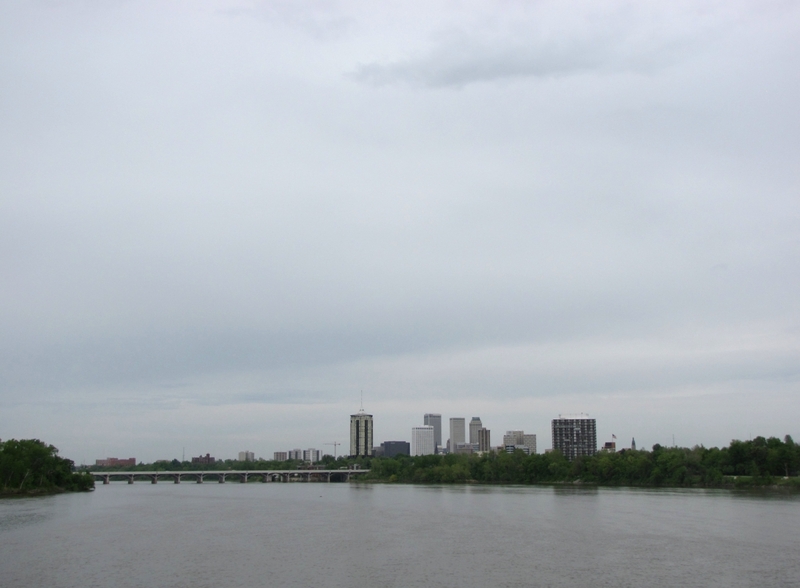 The Tulsa skyline looking south down the Arkansas River from the west end of the Pedestrian Bridge. Squirrels are silly little animals. 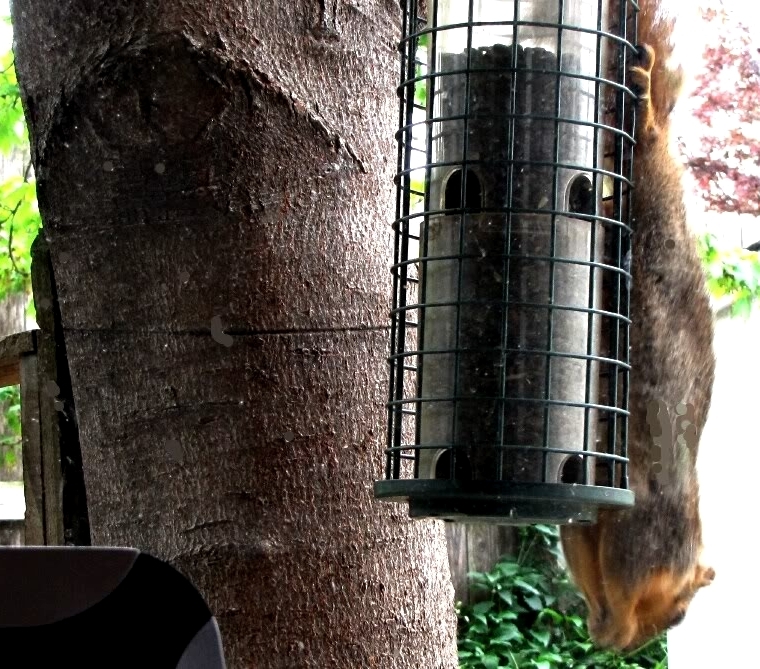 They are the bane of many who put out food for the birds only to have it plundered by squirrels. The quickly outwitted my "squirrel-proof feeders but I really don't mind. Their entertainment value pays their way. Ruby Tuesday - Hoorah for Spring! 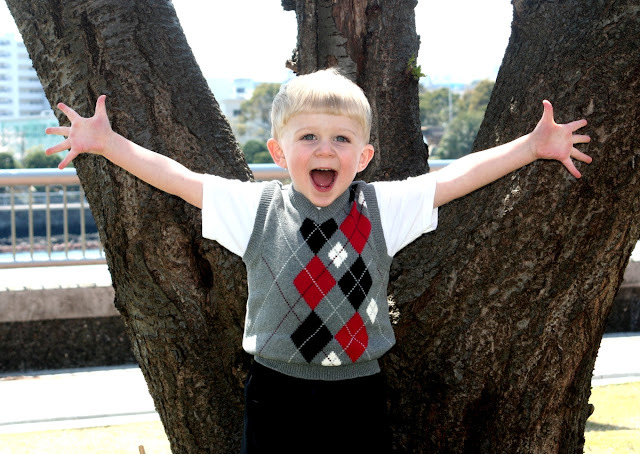 Our grandson Grant sharing his enthusiasm for some beautiful Spring weather. 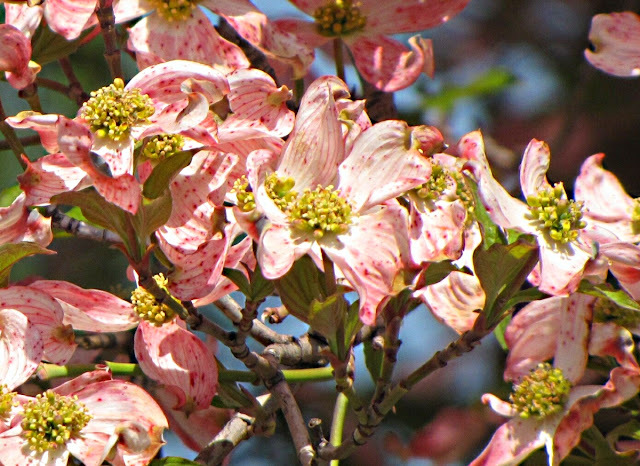 The native dogwood is white but pink sports have been developed and are much admired. 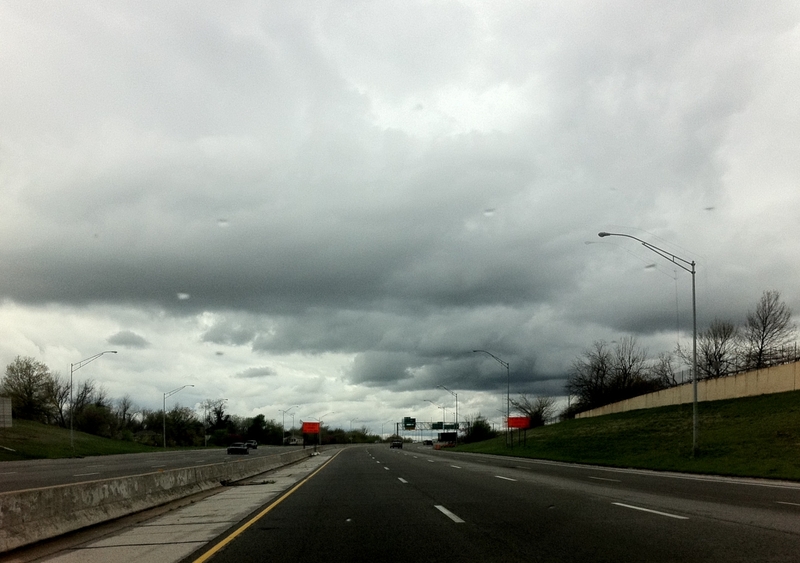 Wednesday we had some wind and rain but it was mild compared to North Texas where a number of tornadoes touched down. 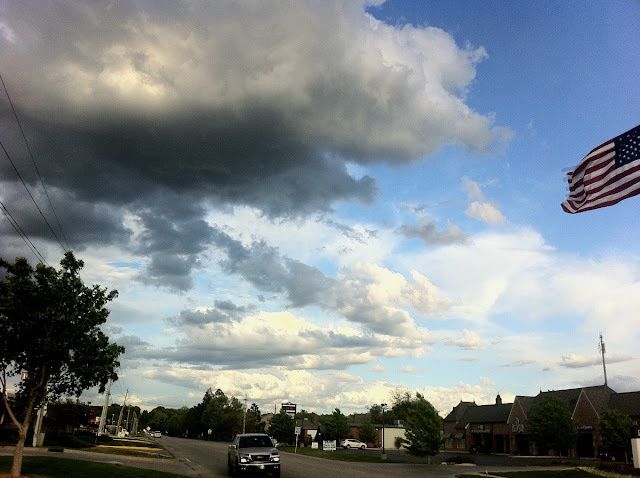 These clouds were scudding along at a pretty fast clip, going south to north. We had some rain that evening but nothing exciting. 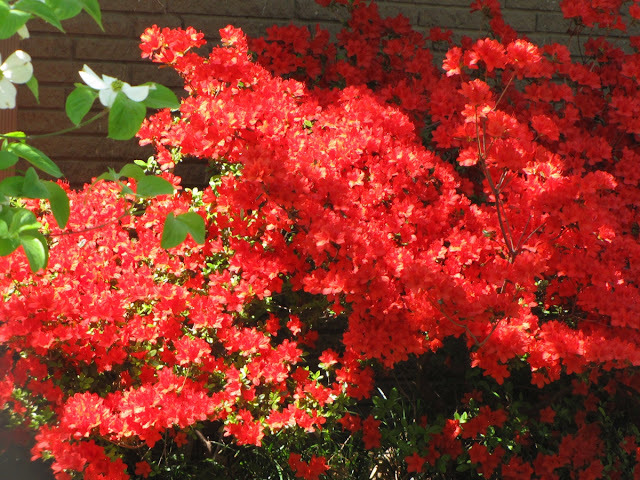 April is the season for Azaleas here in Northeast Oklahoma. They are several weeks early this year because of our early spring weather. I don't remember a spring when they were so profuse. They bloom like this for about 3 weeks with some earlier and some later. 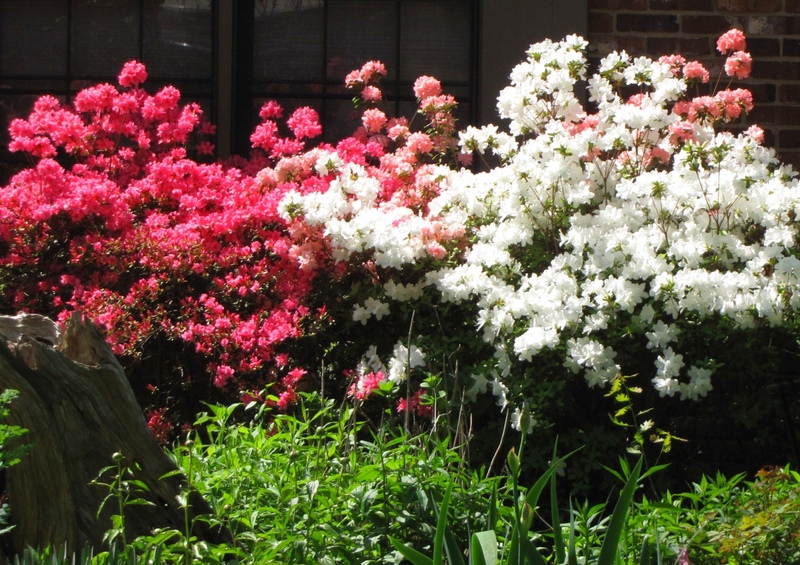 Years ago the weather in Oklahoma was considered to be too harsh for azaleas. 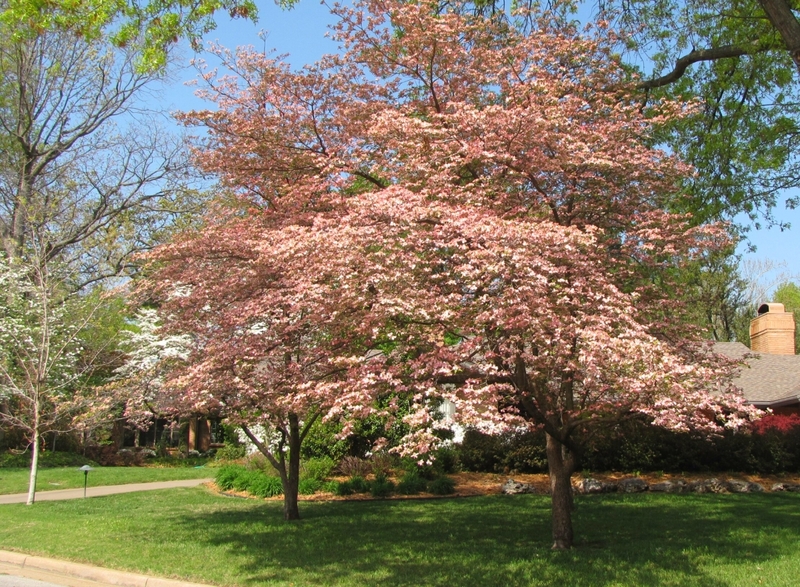 Art Johnson, landscape architect and director of Muskogee Parks and Recreation from 1949 to 1977, introduced azaleas to Honor Heights Park in the 1950s. 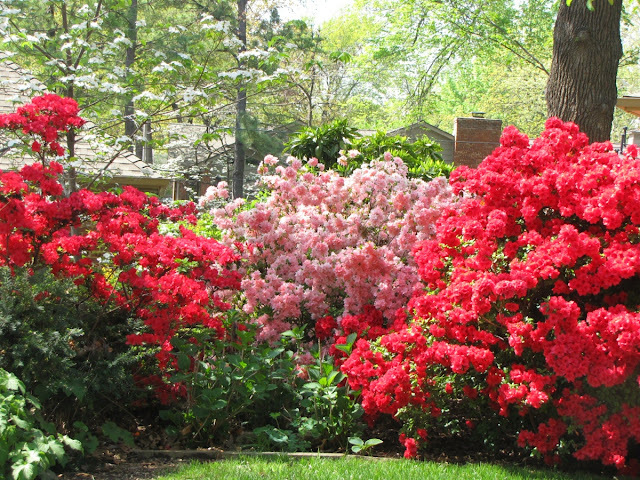 They were a great success and encouraged the popularity of azaleas throughout the area. 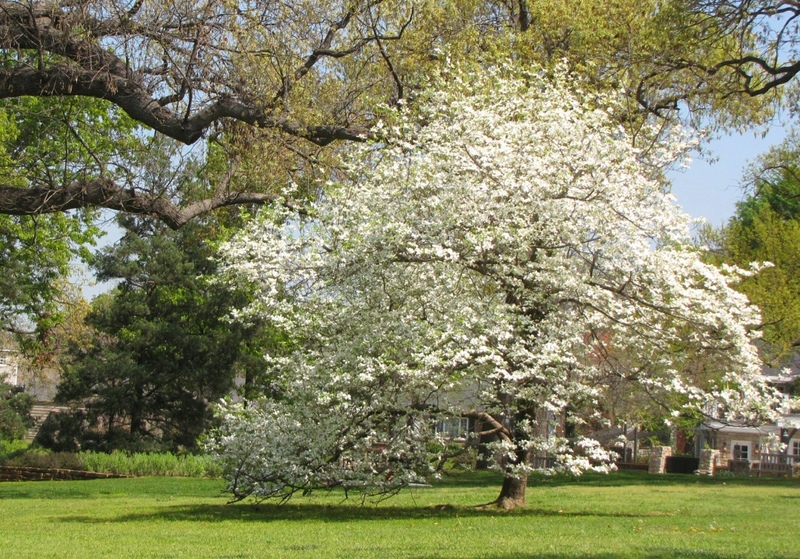 Now they are a common sight in city parks and private homes. 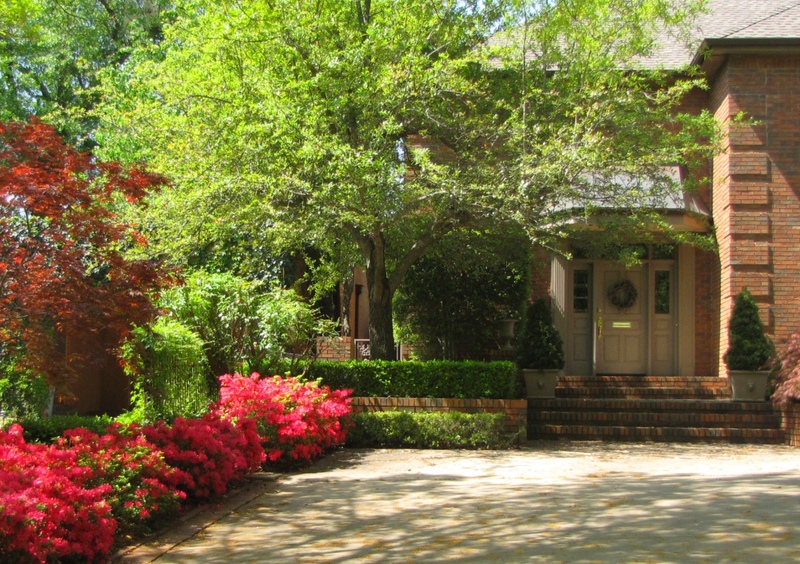 Sue and I took a leisurely drive through some of the older neighborhoods in midtown Tulsa just to enjoy the beautiful flowering trees and shrubs. White and pink Dogwoods and Azaleas are blooming everywhere. The mild winter and early spring has everything bursting into bloom. Tulsa is a beautiful city.